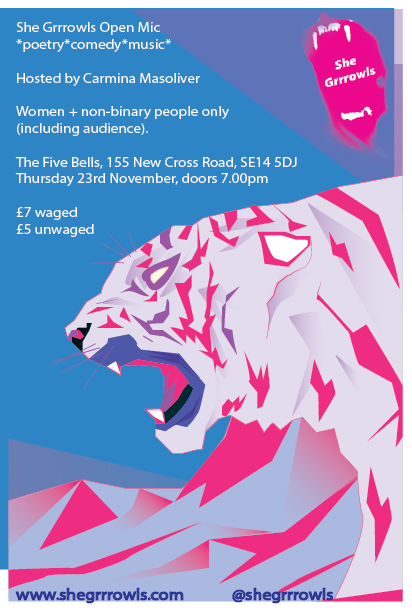 We’re currently running events at The Five Bells in New Cross. The next one is Thursday 23rd November at 7pm sharpish. Get in contact by whatever means to book an open mic spot.